North Carolina supports an impressive diversity of native species and natural communities. Many people are surprised to learn that, even after centuries of biological exploration, North Carolina still has many natural mysteries that have yet to be understood fully. 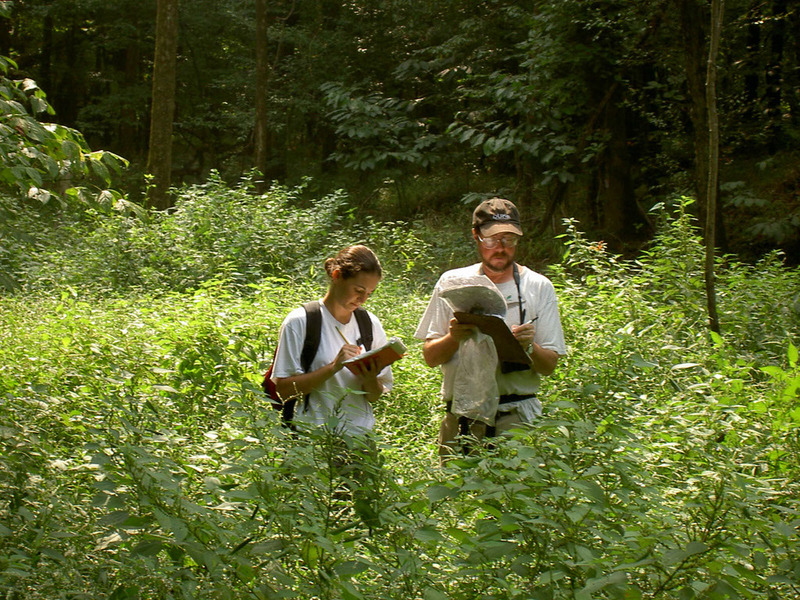 Anyone looking for research or biological survey ideas has much to choose from in North Carolina. Some ideas for inquisitive minds are presented below. Although the Natural Heritage Program cannot provide funding, we can share expertise and ideas in support of your research. Please share your research ideas and results with us. One hundred twenty-one plants and 27 animals have historically been known to occur in North Carolina, but they have not been seen in 20 years or more. Are these species still present in our state? Surveys of known historical locations and similar habitats are needed to determine whether these species still thrive here. Six hundred ninety-one plants and 300 animals are known from five or fewer populations in North Carolina. Are more populations out there? Surveys of the specific habitats associated of these rare species is needed to better understand their true distribution and conservation status within the state. 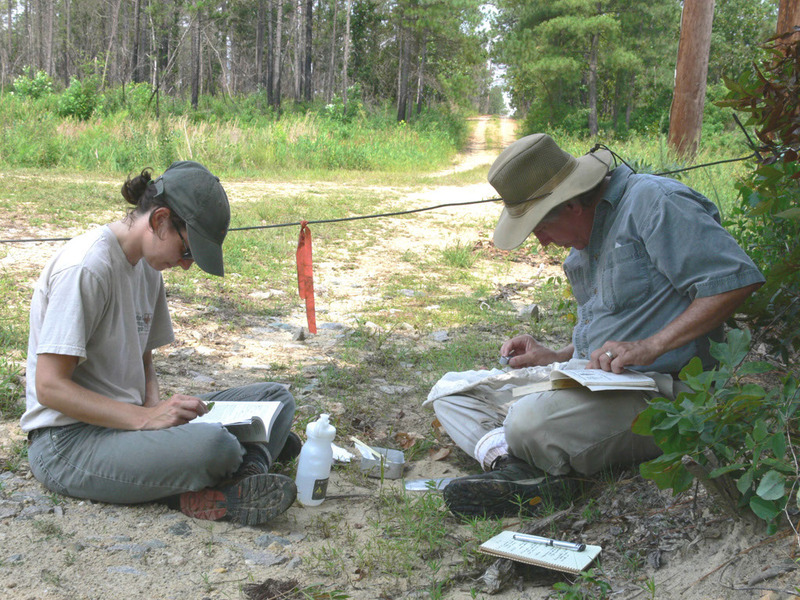 Status surveys and updates on historical records of mosses, liverworts, hornworts and lichens are always in short supply, due to the low number of field biologists who work with these species in North Carolina. The North Carolina Natural Heritage Program has identified more than 2,500 natural areas that are sites of importance for conservation of North Carolina’s biodiversity. Biological surveys have been conducted at all of these sites, but some sites need more intensive, current biological surveys, either to update information that was gathered long ago, or focus attention on promising areas that have not been intensively surveyed, due to limited time or funding. Contact us for a list of sites in your area that need more work. These rare Piedmont communities support several insect species in small, isolated populations. They depend on fire to maintain their habitat, but can potentially be wiped out in a site by burning. Many were not found in recent surveys. Follow up survey is needed to determine if the populations are extirpated. Clarification of dispersal distances, metapopulation dynamics, normal population fluctuations, and time needed to recover from fires would help lead to better management of these rare communities. These rare communities depend on rare seepage environments for their occurrence. Clarification of these characteristics would aid in managing the communities and in restoring degraded examples. Basic life history information is unknown for many, if not most, rare species. Basic information on how long individual plants live, how much populations naturally fluctuate, modes of reproduction and dispersal, and which life cycle stages are most critical to population viability, would aid in conservation and management of these species.